I am head over heels for the French Kiss collection! I love the pretty florals, the adorable plaids, and the super cute pooches! The coordinating Doodlebug cut files are great too because you can cut them to just about any size. Here I used the dog cut file and made him big enough so he would stand out and take the place of the large 'O' in my title. I love that he is sitting on the paper 'ledge' and takes center stage. I can barely stand the cuteness! ​I started out my title with Bubblegum colored Skinny Stickers. I then used my Silhouette Cameo to die cut the rest of my title out of my favorite patterned papers from the 6x6 French Kiss paper pad. 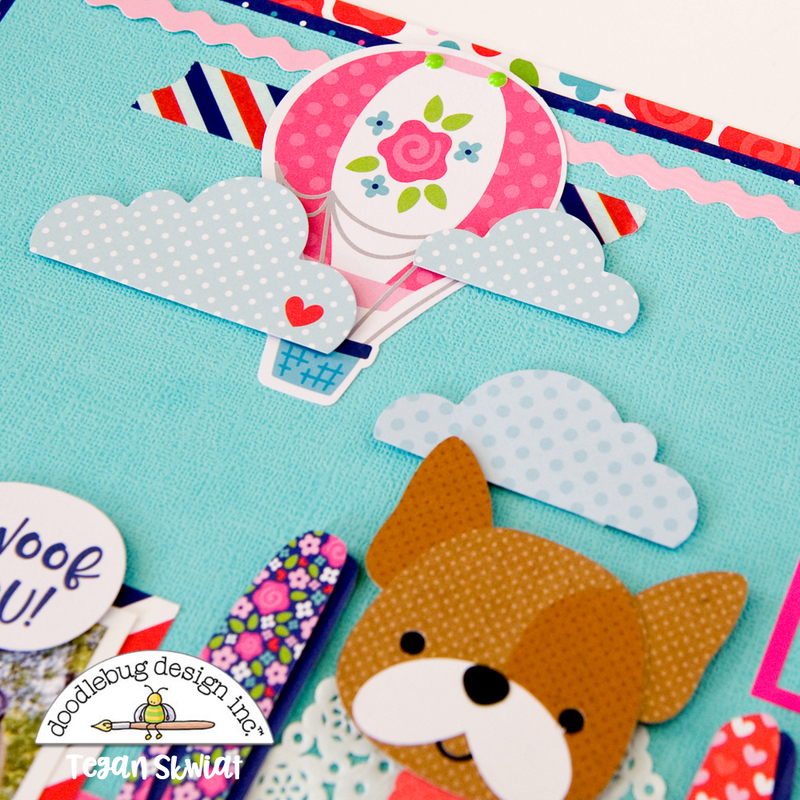 And, seriously, how cute is this little dog cut file?! I love cut files with a few layers, like this one here. I was easily able to give the dog character by cutting out a couple different brown polka dot papers from the 6x6 Dot-Stripe Petite Prints pad. ​I framed my photo with the backside of the Navy Dot patterned paper. I have always loved red and blue postal stripes and this one is great! 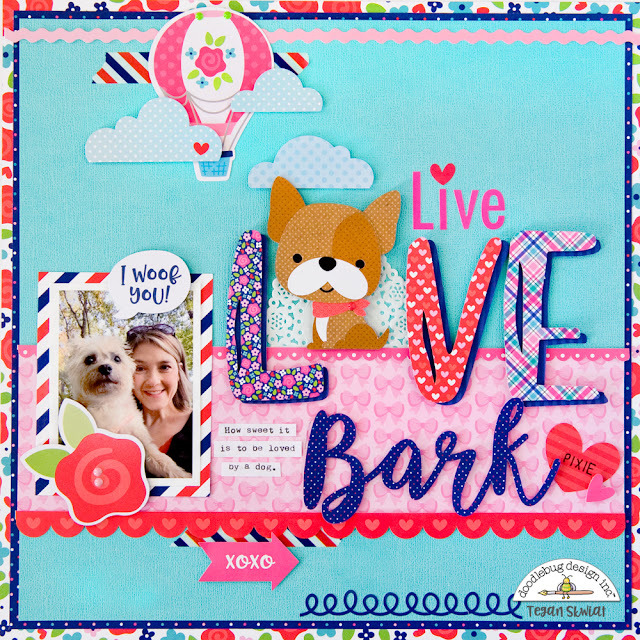 I finished my layout with a floral Odds & Ends piece and a word bubble from the Chit Chat pack. ​ Thank you for joining us! 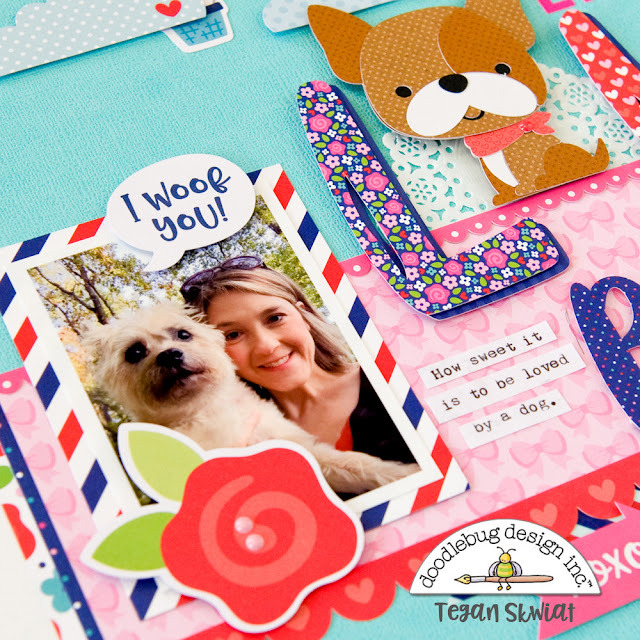 I hope I have inspired you to document your favorite furry friend using the French Kiss collection! Oh my goodness.... this is so cute!! !